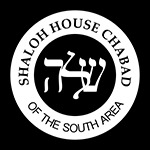 Shaloh is an acronym for 3 Hebrew words - Shiurei Limudei Hadas - classes in the study of religion. Its initial function was to provide Hebrew classes to Jewish public school students dating back to 1960's. It has then developed into a Jewish Day School in Boston and now a Jewish center in Stoughton. It has now become a premier Jewish center serving the South of Boston Communities with quality educational programs for children and adults.